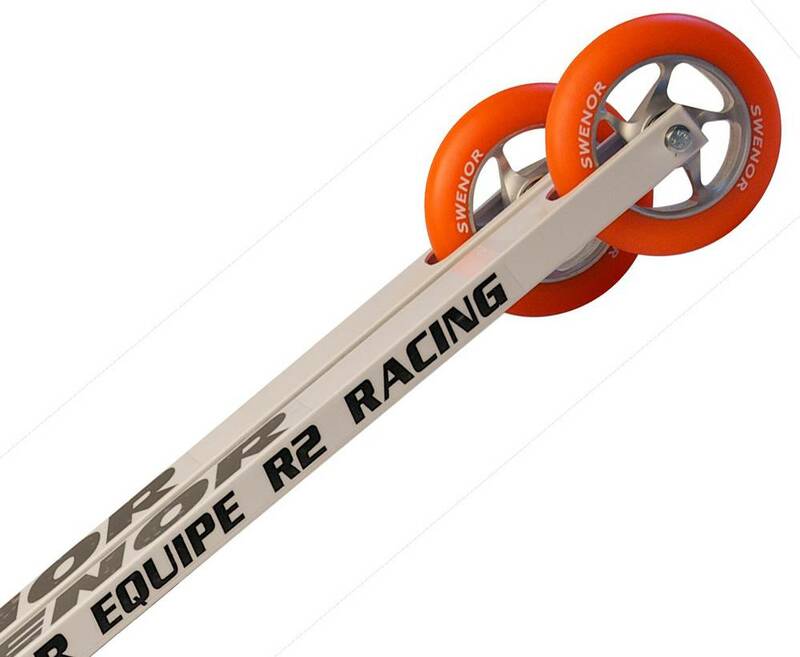 The Swenor Equipe R2 Racing are made for rollerskiers looking for a fast setup and for competition rollerskiers. It comes with fast PU (polyurethane) wheels and a light aluminium frame. The stable and stiff frame transfers all force into speed. The Equipe R2 only weighs 1290g pr. pair and with a short frame of only 530mm.